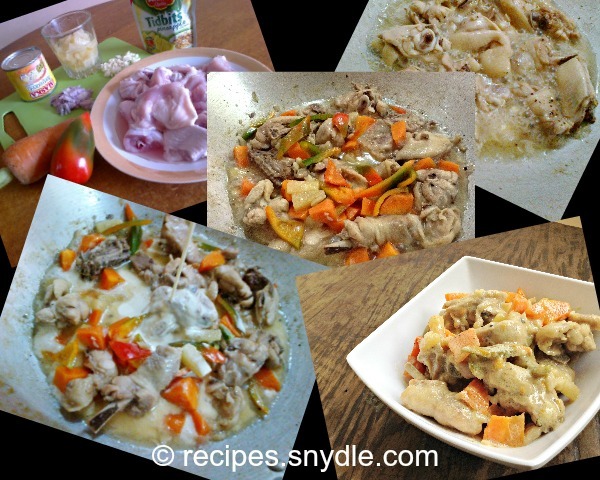 If you want an easy and quick chicken dish (aside from chicken adobo) well, why don’t you try Pininyahang Manok? This creamy and sweet, with a hint of sourness from the pineapple, chicken recipe will surely give you a delightful dinner the whole family will enjoy. Best paired with steamy, freshly cooked rice and you’ll soon have a happy tummy! 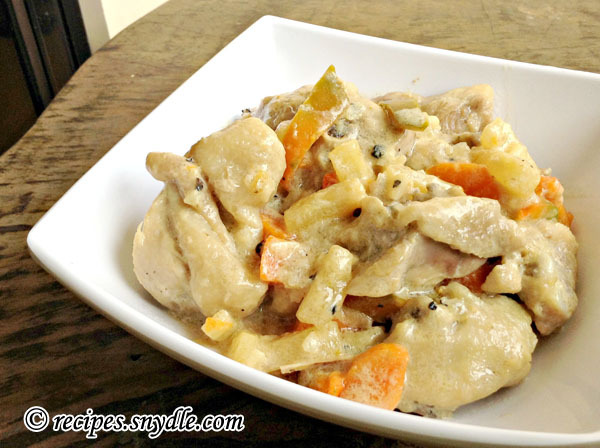 Pininyahang Manok is an easy-to-cook and very simple (also popular) Filipino chicken recipe. If you know how to cook chicken pastel, then you can surely cook this one. 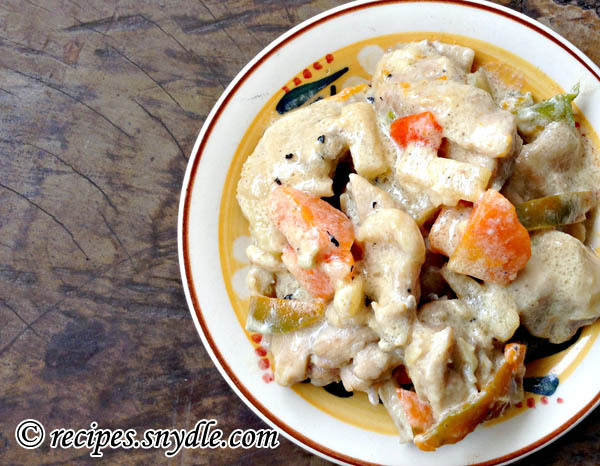 The main ingredients of this dish are chicken (of course), pineapple, milk (or coconut milk), bell pepper and carrots. 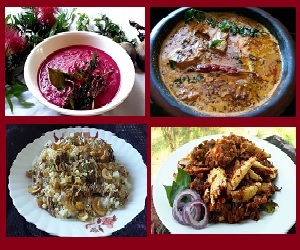 Since there are so many variations of this dish, you can also add your own choice of ingredient (i.e. potatoes, hard-boiled quail eggs, etc. just for giggles). Ok, are you ready? Let’s get cookin’! Pour oil in a pan. Saute’ onion and garlic for about a minute or two. Add chicken and patis. Cook for about 5 minutes or until it becomes brown. Stir in pineapple syrup and cover. Simmer for about 15 minutes. Add carrots and cook for about 10 minutes or until the carrot becomes tender. Add bell pepper, pineapple chunks and milk. Season with pepper and salt. Simmer for about 15 minutes until cooked (or the sauce thickened).